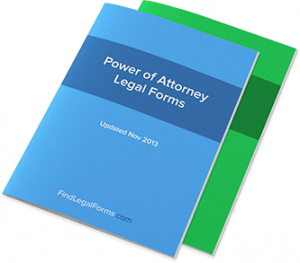 A power of attorney (POA) can be an important, practical and useful legal solution that not only provides you with peace of mind but can also help you avoid costly and complex legal problems. A POA is a legal document that allows a person to act on your behalf in areas such as financial property or medical matters. The person delegating the power is known as the principal (also referred to as a donor or grantor) and the person receiving the power is known as the attorney (also known as the donee, grantee or agent). The relationship between the principal and attorney is that of principal and agent. make any financial or legal decisions on the principal’s behalf. A general POA with limited powers is usually granted to cover a specific event for a fixed period of time. This could include selling shares, buying property or signing a legal agreement. If the grantor of the POA becomes mentally incapacitated and legally incompetent, the POA ceases to be active and no longer applies. What are the attorney’s responsibilities? not pay or give gifts or benefits to themselves or other people using your finances, unless you specifically say they can. However, the attorney can claim out-of-pocket expenses directly connected with carrying out the power of attorney duties. In general, a principal must be 18 years of age and legally competent. In other words, the principal should understand the nature and effect of the POA in terms of what he/she as an attorney can do, when the attorney can make decisions and what kind of decisions, and the impact of this decision making. An attorney must be at least 18 years of age if they are required to sign contracts, for instance. People often appoint relatives, close friends or an independent person such as an accountant, lawyer or doctor as their attorney. You can also appoint a trustee company, but there will invariably be fees associated with this. An attorney should be a person whom you trust and who understands the decisions you would be likely to make in certain circumstances. Specific: Enables the person to act on your behalf for a specified purpose. Limited: Enables the person to carry out a particular transaction on your behalf. General: Enables the person to carry out any business for you or deal with your affairs and assets. Enduring: While specific, limited and general POAs cover you while you are alive and of sound mind, an enduring POA will cover you up until your death, even if you become physically or mentally impaired and are unable to manage your affairs. This person will be able to take care of your investments and other financial matters. The powers that a POA may confer on another person may differ between the various states and territories of Australia. Therefore it would be wise to seek professional legal advice before making a POA.